The NFL is coming to Las Vegas. 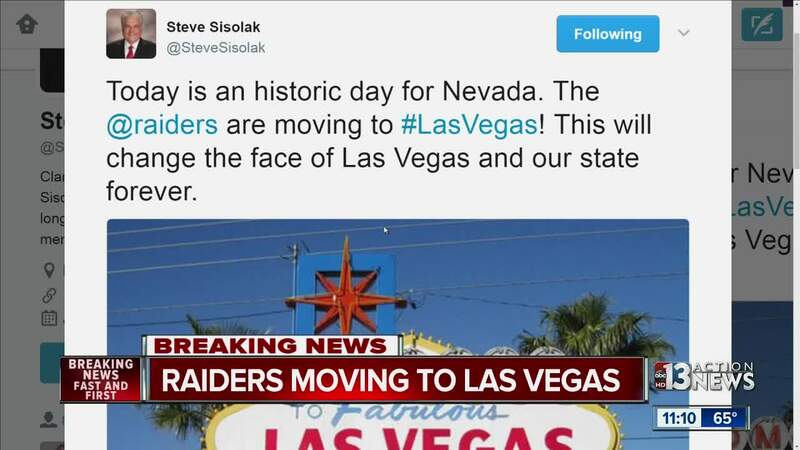 NFL owners voted Monday to approve the Raiders' move from Oakland to Las Vegas, the league announced. The move had been anticipated for months. The Raiders received about $750 million from Nevada taxpayers last year to build a stadium in Las Vegas, and team owner Mark Davis is putting up $500 million. Bank of America has committed to financing the rest. The stadium, expected to cost $1.9 billion, is planned for 2020. The Raiders are expected to stay in Oakland in the meantime. It's the third NFL franchise to move in recent years. The Rams moved from St. Louis to Los Angeles for the 2016 season, and the former San Diego Chargers will move to Los Angeles for the 2017 season. The city of Oakland presented a last-minute proposal on Friday for a $1.3 billion stadium in hopes of keeping the team. But NFL Commissioner Roger Goodell was not impressed. He wrote back that the plan wasn't "clear and specific" or "actionable in a reasonable timeframe." Oakland Mayor Libby Schaaf sent another letter Sunday to make the case. "The NFL is more than a business," the mayor wrote. "You have an obligation to recognize that professional football teams are the lifeblood, culture and identity of the places where they play." The Raiders needed to get 24 votes from league owners, a three-quarters majority, to move. It originally looked like a long shot. The NFL is known for being conservative, especially on gambling, which is legal in Las Vegas. The league has refused to run Super Bowl ads from the Las Vegas Convention and Visitors Authority. 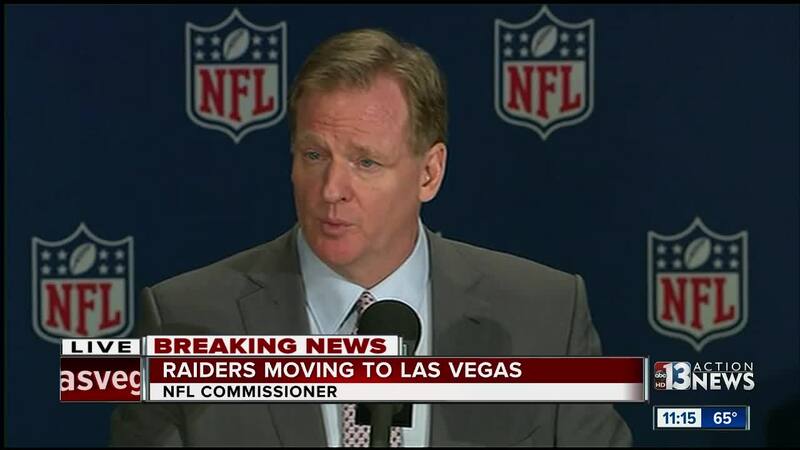 But with Oakland unable to secure taxpayer financing, relocation to Vegas has began to look more likely. The move bolsters efforts by Las Vegas to become a destination for professional sports. An NHL expansion franchise, the Vegas Golden Knights, will begin play next season. And Vegas has long been a host of big-name boxing bouts and UFC matches.